Lifetime Movie Network (LMN) is one of two spin-off channels from the popular American women's cable network Lifetime, the other being something called "Lifetime Real Women". It is based around women-oriented movies, specifically the emotional made-for-TV movies that are synonymous with Lifetime. Originally launched in 1998 as part of a wave of new digital cable channels, the channel has achieved some ratings success in recent years. In its thirteen year history, LMN has gone through many rebrands and at least seven different logos. It has also had a hard time deciding whether it should primarily refer to itself by its full name or its initials, having switched between the two a few times. 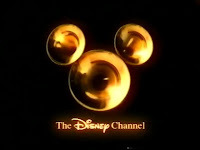 In the last couple of years, the logo has included both names in Lifetime's typeface, as well as a ring made up of dots. This year, LMN has rebranded once again, adopting a logo independent of its parent network, with the initials in a rounded "feminine" typeface and some rectangles to immitate film sprockets. The company behind the Russian business-oriented newspaper Kommersant launched a news channel back in October called Kommersant TV. In addition to being carried by some Russian TV distributors, the channel is streamed on the web for free. Its identity and on-screen graphics were developed by two British agencies, DixonBaxi and AllofUs. 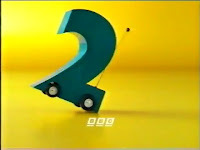 Intros and identity spots were produced by Double G Studios. Unlike most news channels, Kommersant TV doesn't have any news reports or anchors. Instead, the broadcasts are made up of telegrams read by an out-of-vision newsreader with information screens showing text and images. This means the channel can easily be shown mute in public spaces. It can be compared to on-board TV channels available in some public transport systems, or updated teletext pages. The way the channel is set up gives a sense of flow with seamless transition between intros, news stories, segments and ad breaks. The on-screen graphics are clean and modern. The very simple logo consists of the letter Ъ in a square. This letter, also known as the hard sign or "tvjordyj znak", is the final letter in Kommersant (Коммерсантъ in cyrillic), which has always been emphasized in Kommersant's nameplate. In addition to the intros and information graphics, there are also a number of unconventional and artistic identity spots, featuring milk being poured on an armchair, splattering black ink and pink colour thown on a sculpture. 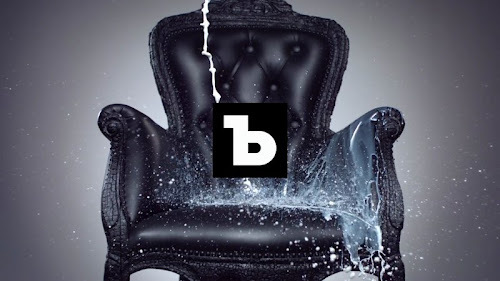 DixonBaxi has posted a 47 second sequence with the armchair and various objects. I recently stumbled upon an old showreel and a presentation video from the UK broadcast design agency Lambie-Nairn that had been uploaded to Youtube by a user called "deeman3000". 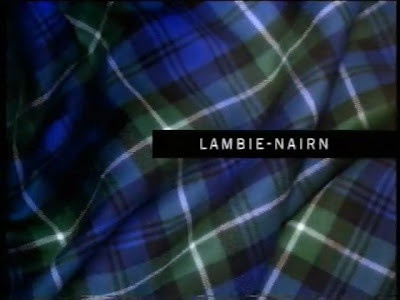 Founded in 1976, Lambie-Nairn established itself as a leading broadcast design agency in the late 1980s/early 1990s. These videos were probably produced in 1996 and mostly feature material created during the five years prior to that. This was during a time when it seemed like the company strived to rebrand a channel in every European country. Aside from the acclaimed work the BBC, Lambie-Nairn also worked with other UK broadcasters as well as clients in France, Germany, Scandinavia, New Zealand, Benelux and Russia. Although every project is unique, one can detect some recurring methods in this body of work, like many filmed sequences featuring different props or actors with heavy makeup, rather than three-dimensional computer animation. Many of these could be shown on television today, if properly remastered for high-definition, but they are of their time and would probably be considered too high-brow in today's environment. But most of all, they are marked by a certain British wit and sober design sensibility, even in some of the fast-paced epilepsy-inducing examples. This period was not the peak for the agency. The very next year, it would win the prestigious assignment to rebrand the BBC. Not only did the company create the current straightened-up BBC logo. The Beeb was at this point gearing up to launch a string of new digital channels, both regular public service channels and advertising-funded ones as part of the UKTV partnership, and this would provide steady work for Lambie-Nairn over the following years. If you were watching the BBC between 1997-2003, you could expect the channel branding to be created by Lambie-Nairn. The agency also continued its international activities, delivering new branding to clients like VRT Belgium (1997), Euronews (1998), the Sci Fi Channel (2002) and LCI France (2005) as well as new Middle Eastern networks like Alhurra and Adu Dhabi TV. It would also move into non-TV branding, and was behind the successful launch of O2 in 2002. Martin Lambie-Nairn himself left in 2008, one of his last projects being a relaunch of BBC News. Most of the creative professionals who worked with him during these years have also moved on to other agencies. The two videos can be seen below, along with some stills and short descriptions of the work featured in them. Martin Lambie-Nairn published a book in 1997, and it provides extended descriptions of the work included in these videos. Unfortunately, it is out of print and is somewhat hard to get hold on if you aren't close to a UK library. Yesterday, November 23, the Canadian print media company Transcontinental changed its name to TC. Transcontinental to "better reflect its evolution into a leading player in the new marketing communications landscape". Based in Montreal, TC. Continental owns several newspapers and magazines. The company's two divisions are now called TC. Media and TC. Transcontinental Publishing. It has also secured the domain name tc.tc (.tc is the top-level domain for Turks and Caicos), which is currently redirecting to tctranscontinental.com. The new brand identity was developed with two Montreal-based firms, the brand consultancy Cohesion Strategies and the advertising/design agency Bleublancrouge. AXN Crime is a TV channel brand owned by Sony Pictures Entertainment, available in several countries in Central Europe. 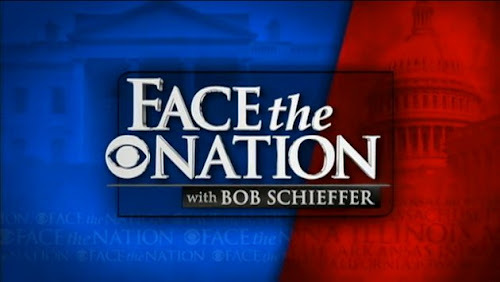 The channel launched a new on-air look in October. This also involves a new logo that provides a necessary update without going to far from its predecessor. AXN Crime was launched in 2006 and is available in Poland, the Czech Republic, Slovakia, Hungary, Romania and Bulgaria. It broadcasts both newer series and classics such as Starsky & Hutch and Murder, She Wrote. This week, the UK biscuit manufacturer Burton's Foods announced that it was shedding the generic "Foods" tag to become "Burton's Biscuit Company". It also adopts the slogan "making every day more of a treat" and introduces a new "light-hearted" corporate identity to fit the friendlier name, reflecting the proud history behind the Burton's name. The new identity was created by the London agency SomeOne. They also created a "brand cookie" with the company's brands baked in. Burton's owns brands like Maryland Cookies, Jammie Dodgers and Wagon Wheels. It also has a licensing agreement with Cadbury, which means it manufactures products like Cadbury Fingers and Cadbury Digestives. It is said the new branding will implemented by early 2012. Dr Gerard is a Polish brand for sweet biscuits. At the beginning of the year, it launched a modernised visual identity, created by Studio Projektowe IKAR in Warsaw. The new logo is not only heart-shaped, it also contains a subtle "satisfied" smile. The golden outline is intended to emphasize the heart and add a premium character. The script wordmark was crafted specifically for this logo, "reflecting the care with which the company's products are prepared". The company behind the brand is now also called Dr Gerard, but was known as Lider'S-KG until it took the name of its primary brand earlier this year. It is currently a part of the French Groupe Poult. The new design was first introduced around January-February. Studio IKAR took credit for the design in April, and Polish trade media reported on the changes in May. The first product to receive the new design was "PryncyPałki", wafer sticks with dark chocolate cover, one of the company's most popular products. The city of Ludwigshafen am Rhein in south-western Germany, with about 165,000 inhabitants, unveiled a new logo yesterday, November 21. Featuring a blue winking emoticon, it was developed by a local agency called Cyperfection. The logo is part of a new brand platform that relies on likeability and self-confidence. The logo itself was required to be modern, confident, inclusive, and functional. The symbol is not only a friendly emoticon, the blue colour represents the city's location on the Rhine, as well as the letters L and U, a common abbrevation of the city name. This replaces and older logo featuring a coat of arms. Dubai Financial Market, a stock exchange in Dubai, launched a new corporate identity yesterday, November 20, to "reflect the strategic direction and growth of DFM going forward and prepare DFM for a new era of sustainable growth". The new logo has evolved from its predecessor, refining the Islamic symbol and achieving a better balance between symbol and typography. Germany's satellite platform Sky Deutschland is continuing the refresh of its channels. Its thriller and crime series channel Sky Krimi launched a new look in early October, following the new look for its sports channels back in August. Sky Krimi sets itself apart by mostly featuring German series, while its competitors in the same genre, RTL Crime and 13th Street, fill much of their schedules with American imports. 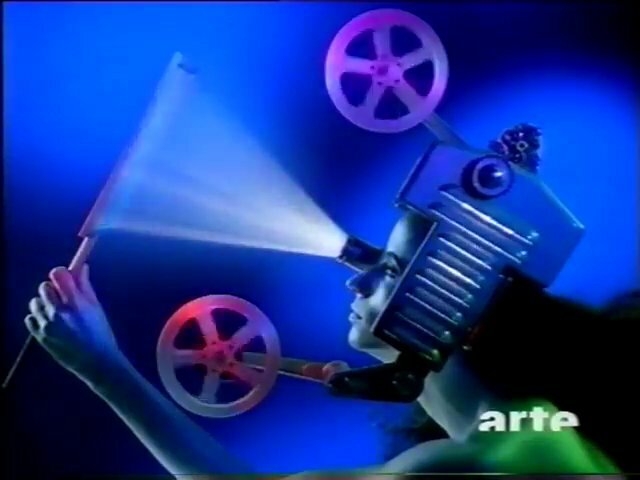 The new idents feature "crime scenes" in the form of still lifes filmed from several angles, with lines that connect the various items to the Sky Krimi logo. The somewhat quirky soundtrack and the humorous crime scenes avoids clichés and gives the channel an independent appearance. The idents share some themes and similarities with the idents adopted by the Danish public service channel DR2 two years ago. Sveriges Radio is Sweden's public radio company. With four nationwide FM networks funded be a license fee, it dominates radio listening in the country. Last year, it implemented a company-wide rebrand that had its root in the perceived need to enforce one single name for the company. For many years Sveriges Radio had referred to itself both by its full name and by its initials (SR). After an identity review, it was decided that the company needed one single verbal identity. It could either follow the lead of most other broadcasters and switch to an initialism that is never read out in full, or they would use the full name in all circumstances. They opted for the latter, as the full name differentiates Sveriges Radio in a crowded landscape and communicates that they are a Swedish company that does radio. An an identity overhaul was set in motion. Viajes Iberia is a Spanish travel agency chain with about 950 stores around the country. Recently it was revealed that in an attempt to distance itself from Spain's national airline, Iberia, the travel agent intended to rebrand itself as Vibo. These changes also apply to the Portuguese chain D-Viagem. The new visual identity was unveiled this week. At its center is a playful logo in blue colours. A similarly playful typeface will also be used for headlines etcetera. A distorted image with more elements has been published by the Spanish website Preferente.com. Krakuski is a Polish brand for a variety of sweet biscuits, owned by the German food group Bahlsen, which has activities in many European countries. It is a relatively young brand, introduced in 2004 for products that were previously sold under the name "Lajkonik". This summer, it launched a new design. The previous design was created by Dragon Rouge and launched in 2007. It involved a redesigned logo and added some characteristic Krakow buildings as well as a yellow background colour representing "well-baked biscuits". The 2011 redesign adds a friendly good-natured neighbourhood baker to the logo, which now look somewhat like the curled corner of a paper sheet. The packaging has been redesigned to give distinct looks to different product segments, helping consumers navigate among the many varieties. The new look has been around at least since June this year. An article published then credits the new logo and packaging to a studio called Well-Rounded Design (which doesn't seem to have a proper website). Perfect Equipment is a Tennessee-based company that manufactures tire balance weights, and is a leader in that field. In early November, it officially launched a new corporate identity. This rebrand would probably have passed by unnoticed had it not been for the fact that the new logo was created by Interbrand. It also came with the tagline "balancing the future", imagined in-house. Tento and Mola are two consumer brands for "hygiene tissue" (paper towels, toilet paper and handkerchiefs) sold in Central Europe and owned by the Finnish hygiene paper company MetsäTissue. Mola is used in Poland and Russia, while Tento can be found in Slovakia, the Czech Republic and Hungary. Some months ago, probably during the summer, both introduced a new look. During the last couple of years, the two brands have used a common packaging design and similar logos with a daisy flower sprouting up behind the wordmark. The daisy has been Mola's symbol for several years, and its last iteration was adopted in 2008. Tento adopted the daisy in 2009 when it aligned itself with Mola's branding. Before this, the two names had independent brand designs. This latest rebrand ties Tento and Mola closer to the brand platform used by the similar Serla brand in the Nordic countries. The creepy squirrels that signify Serla are now also used by Tento and Mola on packaging and in advertising. Although they haven't adopted Serla's leaf logo, the updated logos feature a leaf-like background plate. The Coalition for the Future of Quebec (or Coalition pour l'avenir du Québec in French) is an emerging political party in Quebec that hopes to establish itself as a centrist force, without too much focus on the question of Quebec sovereignty. The party was officially launched yesterday, November 14, as was its new logo. As if to emphasize the party's willingness to work across party lines, the logo includes colours from other poltical parties. The symbol is also a combination of a C and and a Q, where the tail of the Q is made up of an extra large pie-slice. Another politicial part, the centre-left Parti Québécois, has a logo that features a Q with a very similar tail. Quebecois media are crediting the logo to an agency called Réservoir. La Luxembourgeoise is Luxembourg's oldest insurance company, founded in 1920. Last month, it shortened its name to "Lalux", which has been used as a shorthand for some time, as it moves into new headquarters. The symbol from the old logo is kept, but is put in a more modern context. Last Thursday, November 10, the Convention and Visitors Bureau in Cobb County, Georgia, changed its name to "Cobb Travel and Tourism". It also introduced a new tagline, "Atlanta's sweet spot", and a logo with a literal interpretation of that spot. The CVB president claims the previous logo hadn't changed for "at least 20 years". A selection of new logos and rebrands from October. Clicking the logos will lead to articles with more information. In addition to articles on this blog, this edition also features links to Brand New, BP&O, Design Tagebuch and the Creative Review blog. Today, November 11 (11.11.11), the Norwegian bank DnB NOR shortened its name to DNB and launched a new corporate identity. The DNB name also replaces Postbanken, the former postal savings bank, and Vital, a life and pension insurer, creating one unified bank and insurance brand. DNB is the largest financial concern in Norway, and this is probably the country's most high profile rebrand this year. DnB NOR announced that they were getting rid of half their name in February. The allied Norwegian agencies Snøhetta Design and Anti were later given the assignment to develop a new visual identity, including the logo and other applications. The logo was first previewed on June 9 and got a harsh reception. Until now, we've only had a photo of the logo on an angle, with a director standing next to it. DNB have deliberately avoided releasing a "proper" image before the launch. Telecom Personal, the mobile phone operator owned by Argentina's incumbent telco Telecom Argentina, unveiled a new corporate identity last week. London agency This is Real Art is credited as the author of the rebrand, which is launched with a campaign developed by TBWA Argentina. Communicationg the company's core values, diversity and flexibility, this is another example of a dynamic identity that doesn't have a single logo. Instead, there are nine different kinds of handwriting that can be combined with nine different colors. The use of handwriting is a very direct expression of personality. The American literacy nonprofit Reading Is Fundamental, which works to provide children with access to books, launched a new visual identity last Thursday, November 3, as it celebrated its 45th anniversary. The previous logo consisted of a smiling book symbol, a lettermark and a wordmark. Three seamingly unrelated elements in an uncomfortable composition. The new logo features a simple book symbol with the initials in a yellow and blue color scheme. RIF have also had a bunch of cartoon faces created that can appear behind the book. Yesterday, November 7, saw the unveiling of "Brand USA", a new brand to market the United States as a travel destination for tourists around the world. Behind it is the Corporation for Travel Promotion, an entity created last year to encourage tourism to the United States. Such bodies are commonplace in almost every industrialized country in the world, but the lone superpower has previously lacked a unified marketing effort. The brand was launched at an event in London, and the visual identity was designed by The Brand Union. The agency went for an identity that communicates "diversity", a number of dots forming the letters USA, available in several different color combinations. A press release from The Brand Union adds that the design "captures the spirit of the United States: Authentic. Optimistic. Unexpected. Inclusive. Endless Possibilities." The UK private banking business Coutts, which traces its origins back to the 17th century, launched a new corporate identity at the beginning of October. Until now, the wealth management division of the Royal Bank of Scotland has used the Coutts name in the United Kingdom, while its Switzerland-based international business has been known as RBS Coutts. After the international bank dropped the RBS prefix on November 1, they are now gathered under a single corporate identity. The logo has been simplified and modernised, but keeps its royal and classical associations by retaining the three crowns and an elegant script typeface. Viverde Hotels is a new hotel concept created by the German travel group TUI. Marketed as an ecologically aware alternative, the company says Viverde is "the Bionade of travel", with relatively small hotels and organic meals. The name is a combination of vivir and verde, the Spanish words for "live" and "green". Of the four Sunday morning political talk shows in the United States, Face the Nation, hosted by the 74-year-old Bob Schieffer, has been the most conservative. And then I'm certainly not talking about the show's possible political leanings, but its presentational style. In fact, Schieffer takes some pride in how little the show has changed, and its lack of "bells and whistles". The Commercial Bank of Africa, headquartered in Kenya, launched a new corporate identity on Monday, October 31. The symbol is a map of Africa created in a style that mimics traditional African art, where the bank's home market has been marked with green. The abbreviation is set in lower-case Klavika Bold. The new identity was created by Interbrand Sampson, Interbrand's subsidiary in South and East Africa. Today it was announced that More 4, a digital TV channel owned by the UK broadcaster Channel 4, is about to be relaunched with a new focus in January. The colourful logo seen above came with the announcement. More4 was launched in October 2005 as a somewhat highbrow entertainment channel with documentaries, current affairs, drama, comedy and lifestyle programmes. It was one of the many off-shoots launched by the country's three commercial terrestrial television broadcasters around that time. The "re-focusing" will see More4 give up what is left of its documentary, current affairs and arts programmes. Instead it will mostly feature programmes in the lifestyle genre, or "life enhancing content, helping viewers to get the most out of their everyday lives". A new packaging has been unveiled for Britains leading butter brand Country Life. Behind the redesign was Brandopus, who also created the more noticeable overhaul in 2008 that introduced a tree in the logo. This time, the packaging has been de-cluttered, and the logo appears at an angle. Lumata is a new company that provides interactive mobile marketing applications, for example by developing branded apps and web communities. It was spun off from the Italian company Buongiorno S.p.A. that retains a 30 percent share, while the private equity firm Francisco Partners owns the remaining 70 percent. The company was launched on Tuesday, November 1. Its name and visual identity was developed by UK branding agency Heavenly. Voom HD Networks was a suite of fifteen high-definition TV channels. Launched in 2003, it offered a significant increase in the number of HD channels available in the United States at a time when only a handful of basic cable channels could be seen in HD. Problem was, the networks didn't have much high-profile content, and once the established cable channels launched HD simulcasts, distributors dropped the Voom networks, and all channels were shut down in early 2009. The networks did however live on in Canada, as part of a suite of four channels that licensed programming and brands from Voom. One of those channels, the art and music channel Treasure HD, was renamed Hifi in August. With a schedule filled with documentaries, classic rock, jazz, and classical concerts, Hifi targets an older baby boomer demographic. Wateen Telecom, a Pakistani telecom company that began operations in 2007, launched a new corporate identity yesterday, November 1. DocMorris is a Netherlands-based pharmaceutical retailer, which started out as an online mail order business, but later opened pharmacies in a handful of European countries. Earlier this year, it introduced a slight brand revitalisation. In October, the Düsseldorf agency KW43 announced that they were behind the modernised brand identity. The state broadcaster of Belarus, Belteleradio, is renaming its TV channels, uniting them with a common naming scheme and logo template. 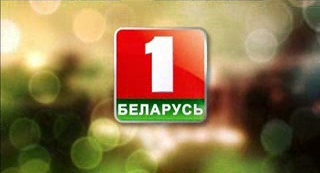 "The First National Channel" will be renamed Belarus 1 on Saturday, November 5. It will remain the primary TV network in Belarus with diverse content, most of it produced in Belarus. Its purpose, as expressed by a leading figure in a newspaper article, is "to instill the citizens with love for their motherland, respect for the state and glory of our people, and not the nouveau riche and stars from abroad". The second channel, Lad, follows on November 14 and becomes Belarus 2, a channel dedicated to sports and entertainment. Later on, the satellite channel Belarus TV will be transformed into a news channel called Belarus 24, and there are plans to launch an educational channel called Belarus 3. The logos are made up of shiny squares inspired by the Belarusian flag with a large red field for a numeral, and a smaller green field for the word "Belarus". VGZ, a major Dutch health insurer, has introduced a new corporate identity. This is part of a consolidation which sees VGZ replacing two other brands, Trias and SIZ, owned by the same company. After the changes, VGZ will have 2.2 million policyholders. The new logo is supposed to be shaped like a flower with a little curl on the letter G, both aspects representing growth and development, while the interlocking petals represent cooperation between clients, providers and the insurer. Branding and design. From vintage to the very newest. From all over the world. Copyrights and trademarks of multimedia materials displayed on this website are held by their respective owners. The display of such materials should never be seen as an endorsement or affiliation.